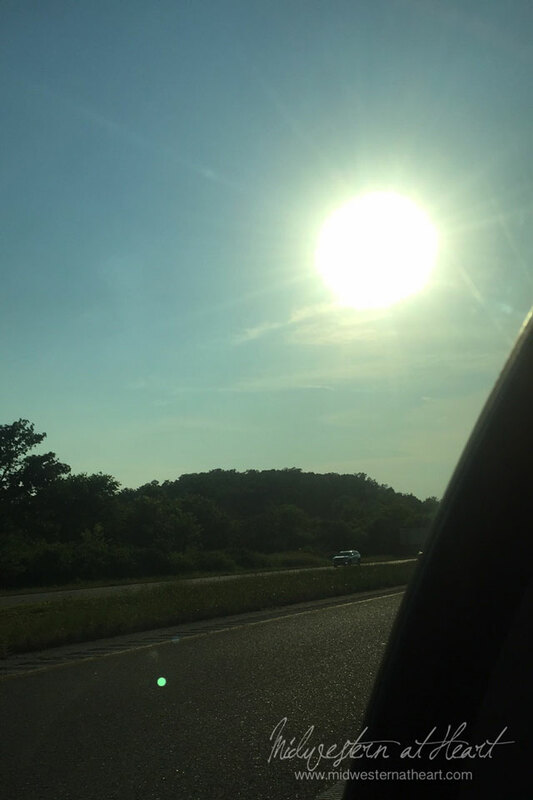 The drive home from Louisiana…. Our drive home from Louisiana was great. Beautiful. Sunny. But it was funny to read Facebook and friends from back home where it was apparently pouring down rain. As we left Louisiana, I was exhausted. I blame the food. So somewhere just around the Louisiana/Arkansas state line I fell asleep. Not such a good thing. Abug got an ink pen and decided to draw all over her new shoes. Whoops. Don’t worry, I woke up to slamming on the brakes when deer jumped out in front of the car. 4, there were 4 deer. 2 went back and 2 continued to cross and no one hit them luckily! Abug woke up a little while after that and she was crying and crying so we decided somewhere in Arkansas about 2 hours from Van Buren, AR to stop and get her an ice cream cone and let her stretch her legs. 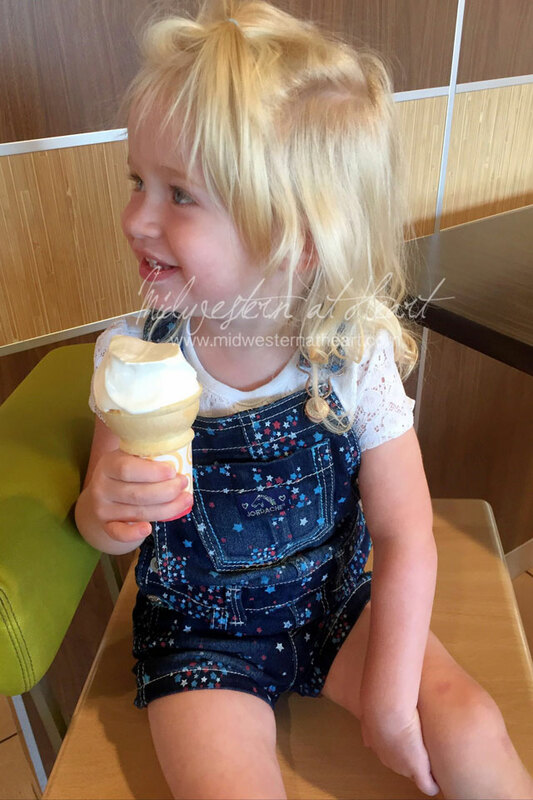 This was her first ice cream cone like this too! Oooooo she’s spoiled now! haha. 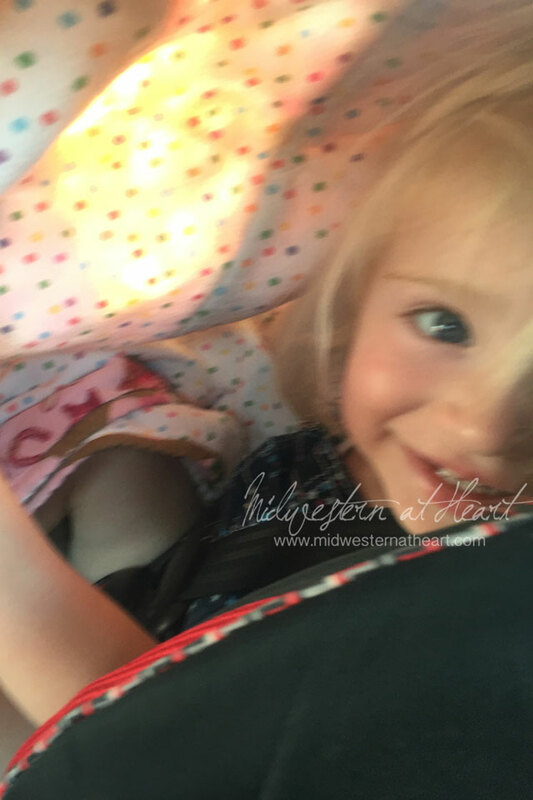 Then, she was in a good mood, so on our drive she played tent or hide-n-seek or something. Around Van Buren, AR, around 7-7:30 we decided to stop for dinner. 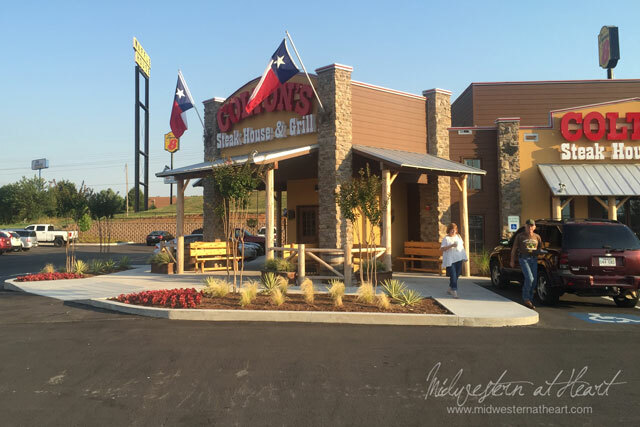 There was a Colton’s Steakhouse that wasn’t too far off our beaten path so that’s where we ended up. Ah, a salad with cheese again. 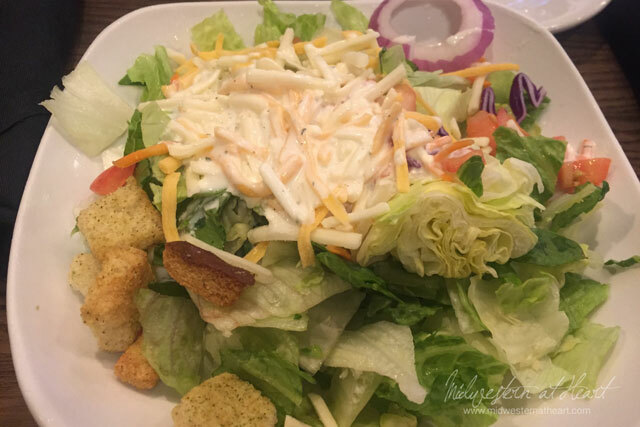 It was funny, none of the salads where we ate in Louisiana had cheese on their salads. I like ranch, cheese, croutons oh and lettuce on my salad. 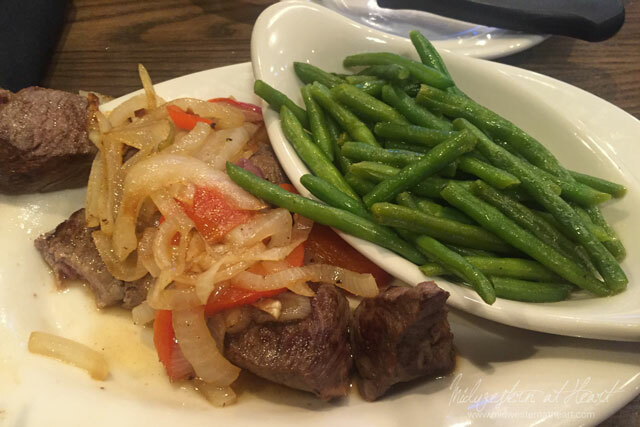 I got the Steak tips with onions and peppers and a side of green beans. I love their green beans! And that steak, cooked perfectly! Medium Rare! Abug had Mac and Cheese… go figure… lol. 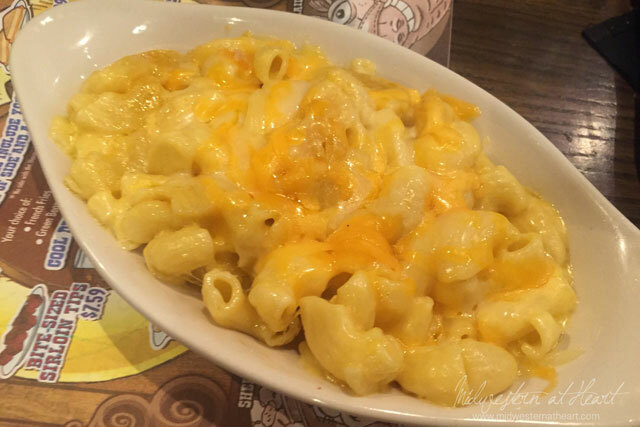 Don’t worry, she ate more of our steaks than she did her mac and cheese. We also got hubby dinner… he just didn’t eat it until 11pm :). He did compliment his food! 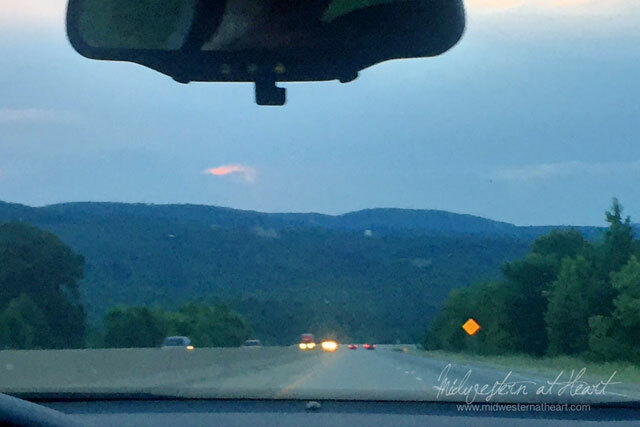 Outside of Fayetteville it started getting cloudy…. Then it poured on us around Bentonville, all the way home. 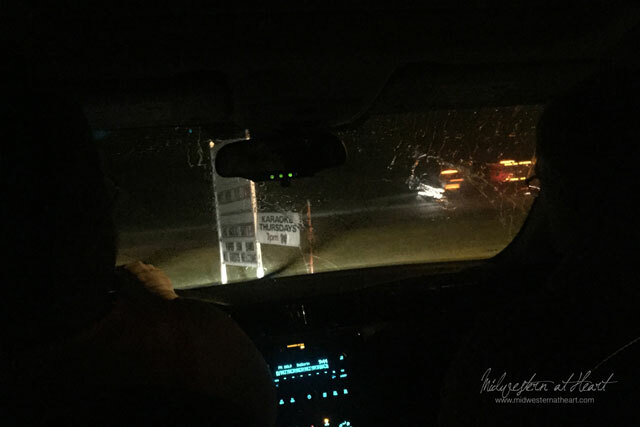 It was “fun”…..
And that sums up our trip to Louisiana! ← My upcoming 65th Birthday… what?